Do you have brilliant ideas, only to forget them before you can write them down? When you do write down your ideas, do you lose or forget where you put them? Would you like a place where you can keep your ideas organized until you’re ready to work on them or share them? 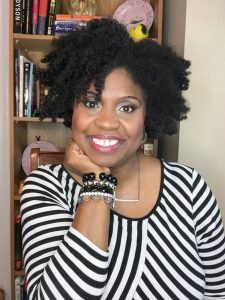 Do you work on multiple projects and want one place to keep up with everything? Evernote is a multi-platform notetaking app. With a relatively simple process of creating notes, notebooks, and tagging, you can keep track of multiple projects and parts of your life–all in one place! Evernote is easy to use. But also easy to overcomplicate. But I can help you with all of that! I answer that in that in my Elite Inner Circle Group and the my “Maximizing Evernote” Masterclass. Don’t have Evernote? Download or Upgrade Now! Affiliate links below. No additional cost to you. I just get credit for turning you own to the awesome Evernote! Let's Begin Your Evernote Experience! 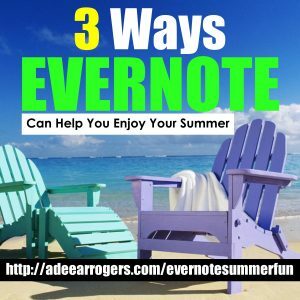 Blog on 3 ways you can use Evernote to manage and increase your summer fun! One of my primary uses for Evernote is to create content–blog, webinar, content calendar, course, podcast, and Twitter Chat. 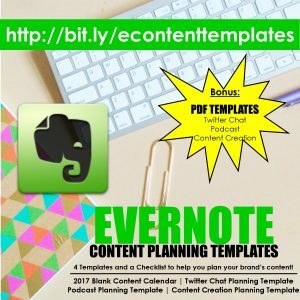 In this bundle, you will get access to my favorite content creation templates for Evernote. If you’re just starting out on Evernote, I’ve also included a PDF version to help with the transition! 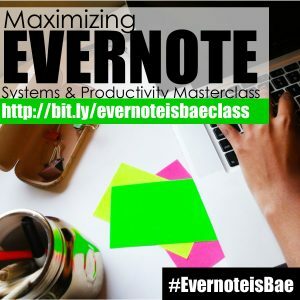 If you need more knowledge and tips on how to maximize your Evernote experience, take my signature “Evernote is Bae” Masterclass. 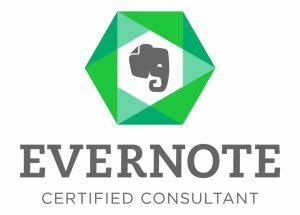 In this 4-part series, you will learn how to set up and use Evernote and how to customize it for your field, niche, or industry! 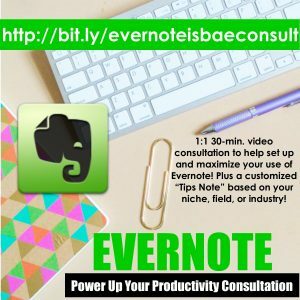 If you need a customized Evernote Experience, schedule a 1:1 video consultation (Zoom) where we will set up your Evernote and you will receive a tutorial on how to use Evernote for your needs. After the consultation, you will receive an Evernote of tips specifically for your brand, niche, or industry.